Blurb: Presenting what may be the band’s strongest material to date, 51 Peg returns with its first album of new material in 14 years, and it has been well worth the long wait. When 51 Peg released its self-titled EP in October of 2016, it signaled the return of a powerful band that in its initial run was just scratching the surface of its potential to become a leader in underground alternative music. 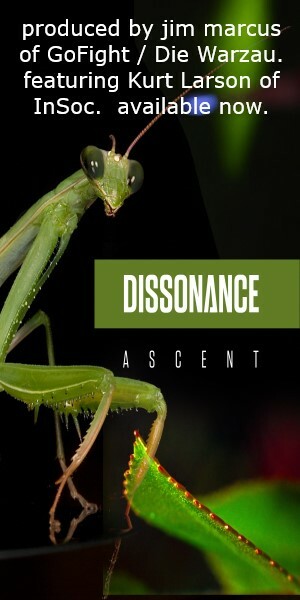 Elements of industrial, rock and metal, and new wave all coalesce in the Baltimore/DC band’s sound, creating a singular vibe that is as impressive in its technological aspects as it is in its emotive melodicism. Well, it took an additional two years, but the band has finally delivered on the promise of what those three tracks in 2016 beheld, with A\Void marking the quartet’s first new full-length album in 14 years. Some might say that picking up right where the band left off would indicate a stagnation in sound and style, but nothing could be further from the truth. 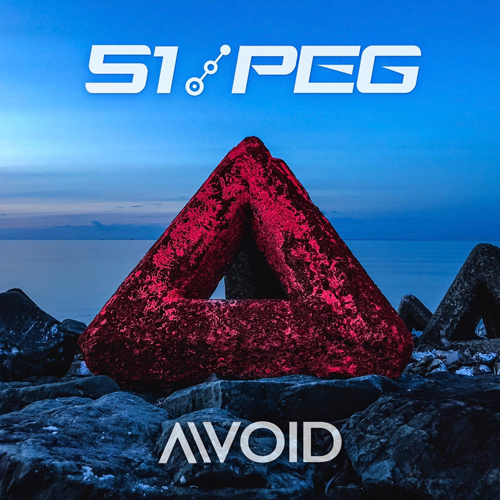 51 Peg was always in a class all its own, and the 16 tracks on A\Void show each member pushing his creative skills to their utmost. From Carlo Pizarro’s blend of mighty riffs and wistful leads to Brian Fasani’s dynamic interplay of organic and synthetic percussion, underscored by Tim Phillips’ intricate layers of synths that are both intriguing in their complexity yet engaging in their familiarity, topped off by the vibrant and virulent vocals of Jeff Sargent, A\Void presents an almost monolithic wall of industrialized alt. rock that sounds both of and ahead of its time. Never a band to actively create singles for their own sake, A\Void contains more than a few moments worthy of radio play and even dance floor abandon. This is particularly so on “Coded in Time,” whose rhythmic power is undeniable; Fasani’s angular drumming and Phillip’s crystalline piano and synth sequences provide a perfect rolling energy sure to get people moving, the violent thrust of the chorus assaulting the speakers as Sargent demonstrates his uncanny ability to almost effortlessly move from crooning melody to vicious scream in a heartbeat, Pizarro’s guttural riffs carrying the song into a roaring climax. Similarly, “Now and What Used to Be” enters with a brutal onslaught of pulsating EBM synths and chugging heavy metal guitars, Sargent’s subtle vocal harmonization atop Phillips’ lead accompaniment making for one of the album’s catchiest moments, along with the soaring melodic force of “Prying Eyes” and “Another Nothing” returning from the self-titled EP to once again flex its sonic muscles. However, it is when the band slows things down and allows the scathing atmospheres to breathe and encompass the listener in an almost cosmic embrace that 51 Peg’s music is at its most potent. For instance, “Night Things” showcases an almost symphonic ambience with faux-strings and Pizarro’s resonant guitar lines reminiscent of David Gilmour at his most textural, Fasani’s beats tightly knit and just restrained enough to drive the listener along with Sargent’s vocal harmonies. As well, the cinematic grandeur of “Death March” as Sargent darkly whispers atop a thunderous procession of martial beats, chilling choral synth, and sparkling guitar lines, resulting in one of the band’s finest compositions ever, while “Walk Through Me” and “The Light that Lit Your Way” return from the EP with those poignant lyrics that this writer referred to as one of 51 Peg’s greatest strengths. Further proof of this can be found in the seething and lush menace of “Parachute and Savior,” a song whose critiques on blind devotion and shattered faith make it one of the album’s strongest tracks. The verse creeps with a throbbing bass synth and steely guitars echoing atop mechanical rhythms, the miasma offset by Sargent’s switch from melancholy harmonies to an acerbic spoken word, before exploding into the chorus with the lines “Your God can be love again” and “Take away our boundaries and we’ll choose a new direction” demanding the listener shout along. In some respects, A\Void bears the characteristics of a concept album, with instrumental interludes like “Acceptance” and “Cat Scan,” along with “The Void” ending the album as the opening “A Void” began, with the descending synth arpeggios trickling like a celestial rain and evoking the album’s introspective themes. As the band refers to the record as an “homage to an imperfect past,” one can sense that the members of 51 Peg have indeed progressed as musicians and as people as A\Void bearing all the hallmarks of the band’s previous work – striking melodies, complex progressions, and top-notch musicianship… but now, much more finely tuned, honed, sharpened into an eloquently produced industrial/rock package. With such a strong showing after 14 years, 51 Peg has certainly made the 14-year-long wait worth our while.